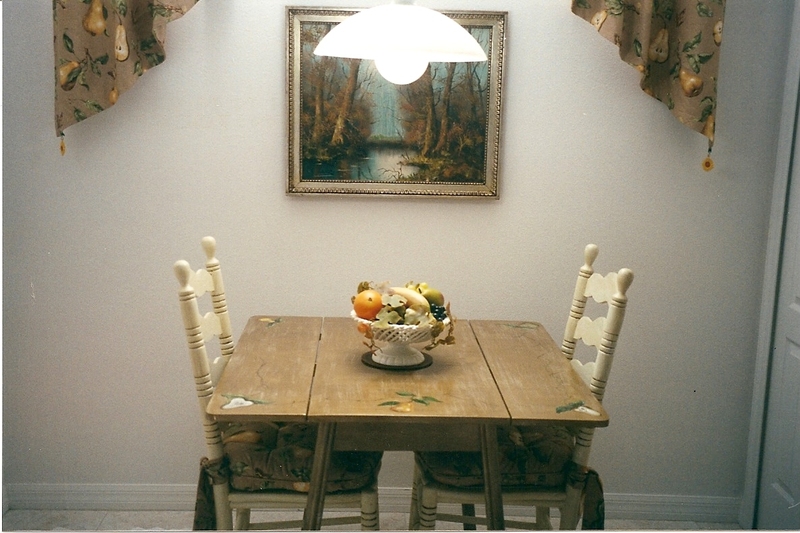 Painted effects can be used to highlight other design elements in a room. 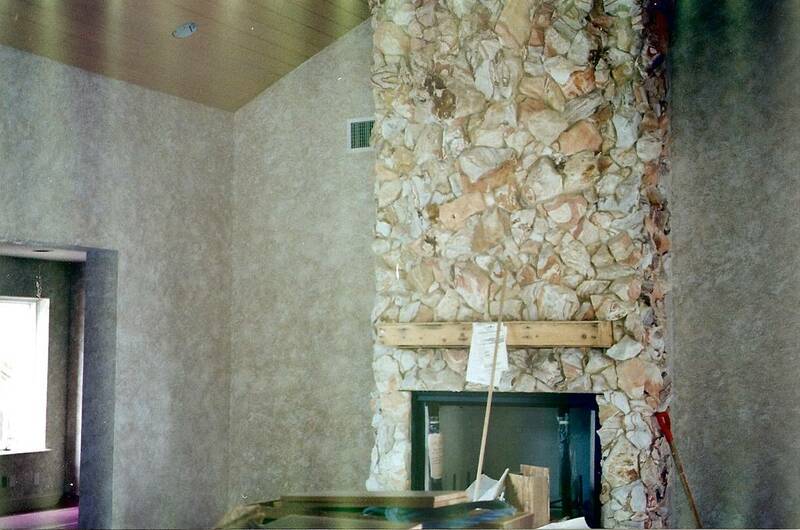 For example, they can match fabrics, stones, or tiles. 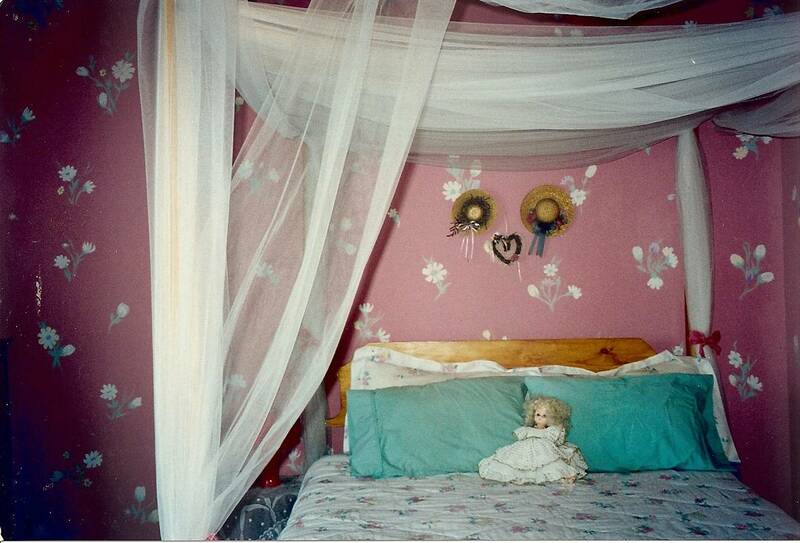 Walls painted as the color inverse of the comforter. An old table painted to match the fabric. 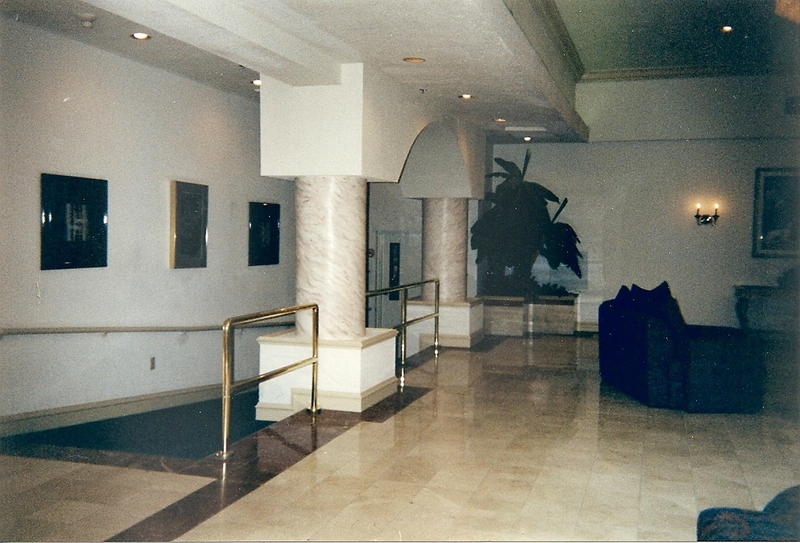 Plaster columns in a Miami hotel painted to match marble tile floor. 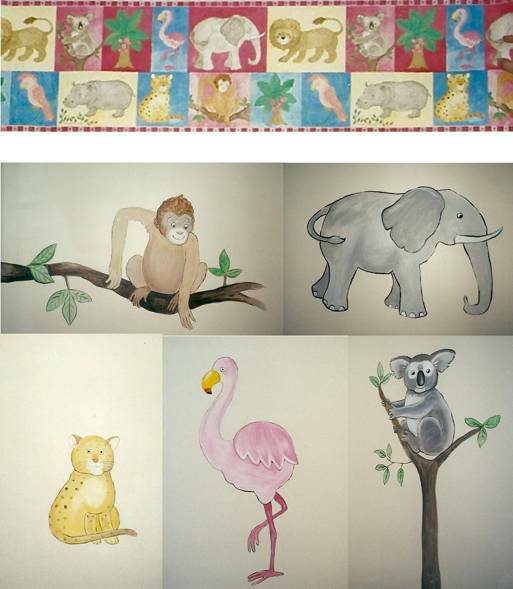 This monkey, plus other animals, matches a wallpaper border. 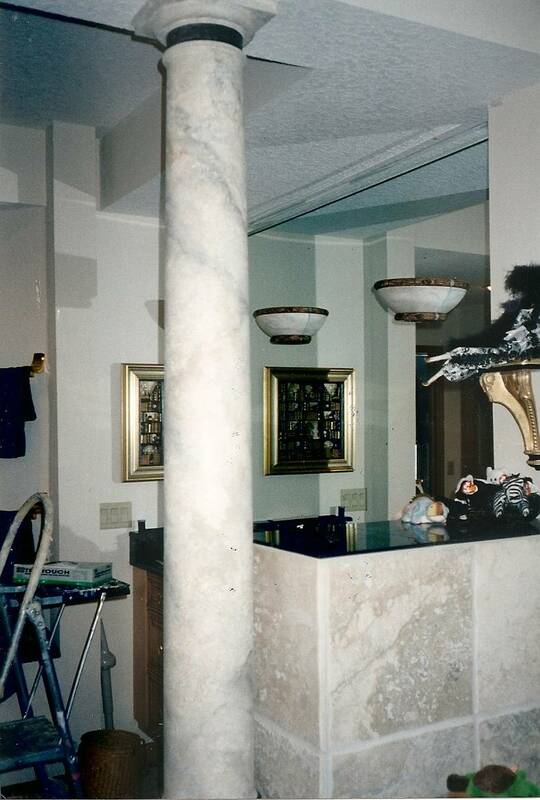 This column was painted to match the tile on the bathroom counter.